Let’s talk about our values! For myself the answer is simple…the Computacenter culture! C omputacenter has grown considerably from a single location business to a global company over the years and what is great about Computacenter is that despite the growth internationally it still feels like you are working with a tight knit family. 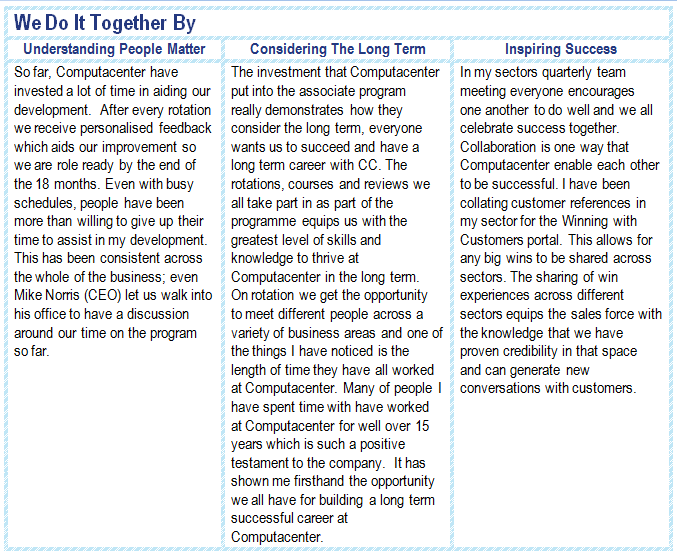 The Computacenter culture is underpinned by the ‘Winning Together’ values which are at the core of how the business operates.